Russell J. Bendel Russ was born and raised in Philadelphia and relocated with his mother, father, and sister to California when he was a child. Russ grew up in the restaurant industry and always knew it was in his blood at an early age. He earned his Bachelor of Science degree from The Collins College at Cal Poly Pomona with an emphasis on Restaurants and Business Management. During that time, Russ worked with Bloomin Brands Restaurant Group for 15 years, six years with Outback Steakhouse and nine years with Fleming's Prime Steakhouse & Wine Bar. He was promoted to partner of the flagship Newport Beach location at the age of 25, youngest ever in company history. 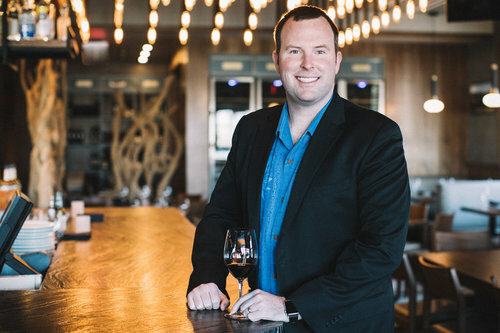 During his time as a partner with Fleming's, he was proud to accomplish his Court of Master Sommeliers Certification, level five Wines of the World Certification, included in OC Metro's 40 Under 40 Annual Issue in 2012, and end his tenure with Fleming's as a Partner of the Year in 2010, 2011, and 2012. Russ decided to leave his role to peruse his own venture in February of 2013 with longtime friends and family. Russ acquired Vine Restaurant in San Clemente and has brought new life to a local's favorite, while doubling annual sales at Vine and capturing a handful of awards like OC Registers Top 10 Restaurants in OC in 2015. 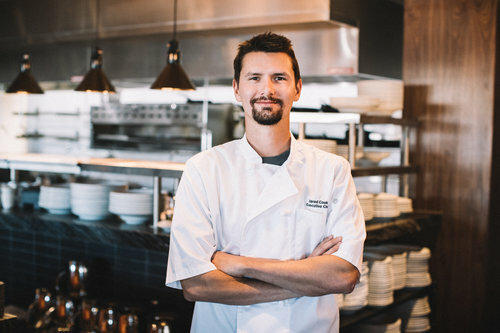 In 2016, Russ opened his second restaurant named Ironwood in Laguna Hills, designing the concept from scratch. Shortly after opening, Ironwood was named the Best New Restaurant in Orange County by the Golden Foodies in 2016 and business partner Gabe Whorley also was named Best Bartender of 2016 in Orange County. Both Vine Restaurant and Ironwood have also made it onto Brad Johnsons Top 75 places to eat in 2017. 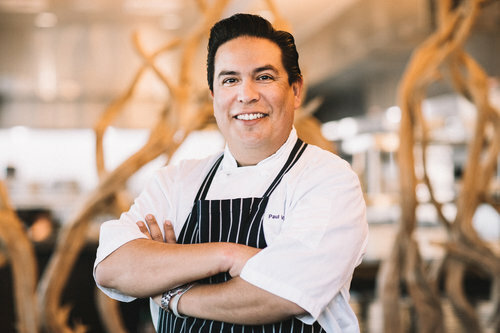 Russ and his partners opened a third concept called Olea in Newport Beach in 2017, another wine country inspired restaurant with a new look and design. Russ enjoys spending time with his family and friends, especially with his wife Sarah and their first daughter Brooklynn who was born in September of 2017. Russ is involved in the hospitality industry's California Restaurant Association Orange County Chapter and a board member for The Collin's College Alumni Association at Cal Poly. He enjoys donating his time to help support the growth of the industry and for future generations to come. Kyle Simpson is an Orange County native earned two Bachelor of Science degrees in Business Management and Operations Management from California State University Long Beach. Kyle Simpson is no stranger to restaurants as he has held numerous positions with his lengthy tenure with Bloomin Brands Restaurant Group, including five years with Roy's Hawaiian Fusion Restaurant. In that time, he successfully opened the Roy's in Pasadena in 2008 and later transferred to the Anaheim location to be closer to friends and family. He currently sits on the board for the hospitality Management Program at California State University Long Beach and is the Vice President for the California Restaurant Association Orange County Chapter. Kyle has a passion for hospitality and is excited to continue implementing and elevating the friendly service at for years to come. In his free time, this proud father of two girls enjoys spending time with his family and friends, golfing, relaxing at the beach, and dining out. Gabe Whorley is a San Clemente native. He first entered the restaurant industry while he was still a student at San Clemente High, and quickly worked his way up to tending bar. 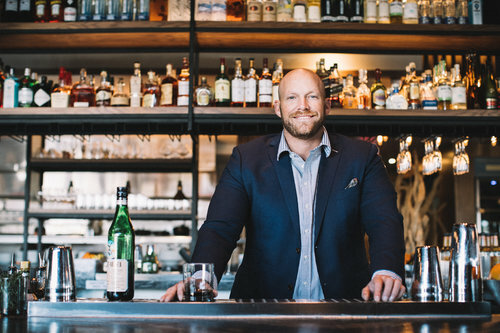 As his experience grew, so did his passion for craft cocktails and culinary exploration. He developed his signature style of cocktails- renovating old classics with seasonal fruits and herbs, all while honoring the integrity of each individual ingredient. 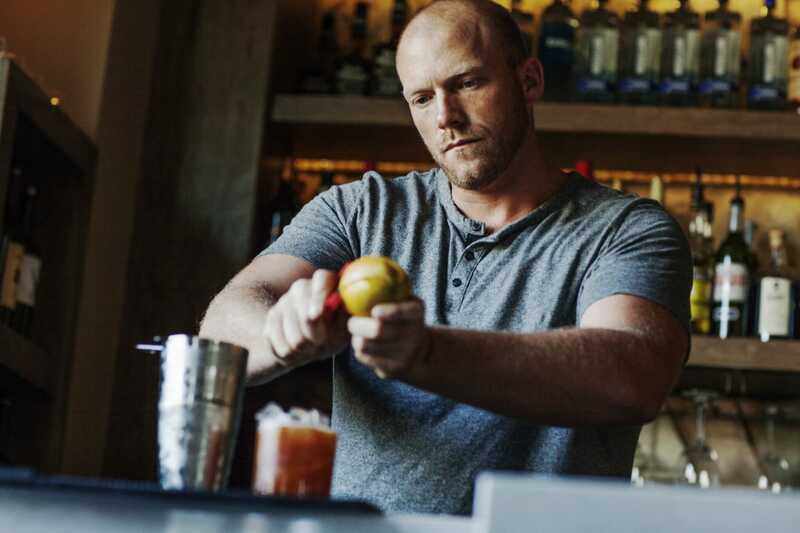 In 2013, Gabe partnered with life-long friends to bring his unique and innovative cocktail program to Vine Restaurant & Bar. Gabe brings a new level of energy to the table as he entertains guests with his own signature style and service! Kevin was born Kansas City, Missouri and immediately following his birth, he and his family moved to La Quinta, California. Kevin relocated to Orange County after graduating high school to continue his education which is where he found his passion for the hospitality industry. 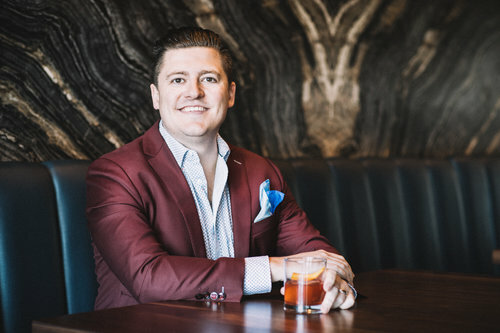 Kevin began his professional career with Blooming Brands Restaurant Group's, Fleming's Steakhouse and Wine Bar, back in 2007, where he also met Partner, Russel Bendel. He advanced his career by traveling and assisting the openings of numerous Flemings locations and took on an important roll in the expansion and growth of the company. After his time with Flemings, Kevin soon joined Russ and his Partners, at Vine Restaurant and Bar in San Clemente. As a group, they designed, built, and opened Ironwood Cellar.Craft.Cook in May of 2016. Ironwood was quickly named the Best New Restaurant in Orange County by the Golden Foodie Awards. The team has now moved on to a new wine country cuisine concept, Olea Cellar.Craft.Cook located in Newport Beach, CA. Kevin has a strong passion for the food and wine industry, as a certified sommelier. In Kevin's free time, he enjoys spending time with his wife Kyanna, friends and family, walking his dog - Cash, and perfecting his swing on the golf course. Paul grew up in Whittier California where he found pleasure cooking for his family. Paul pursued his passion for cooking by attending Le Cordon Bleu in Pasadena California.While attending school he staged at Tre Venezie in Pasadena. After graduating Paul worked his way up to lead line cook at Balboa Bay Club and Resort in Newport Beach. Paul then was offered a position as sous chef at an upscale trendy restaurant in Santa Monica. Paul quickly showcased his talent and became the Chef de Cuisine. Paul was offered the position of Chef at a private golf club in San Clemente as Executive chef where he revitalized both the menu and food and beverage program for luxurious weddings and events. Paul is a long time season ticket holder for the Los Angeles Dodgers and enjoys attending the games with his daughter Rachel. Rion Edwards grew up in Riverside, California and currently lives with his wife and son in San Clemente, California. Growing up, it was through family get-togethers that Rion learned to appreciate the art of hospitality. Nurturing his love for hospitality sparked his passion for food and beverage, and he made it his career after graduating from college. Refining his craft, Rion accepted food and beverage management positions at Arroyo Trabuco Golf Course and The Ritz Carlton. 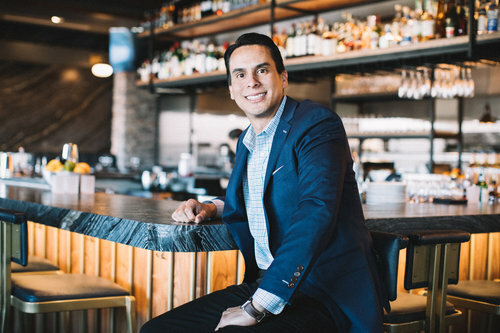 In 2016, he found his home with the RJB Restaurant Group, a group of partners that share his values and reinforce his love for food,beverage and hospitality.